Wonderful story about Rick Springfield on The New York Times website today (scheduled to appear in print this weekend). So happy to see that Rick Springfield is FINALLY getting some of the recognition he deserves. Since the film wrapped, Mr. Springfield has been working on a follow-up to his novel. He has a new album coming out in January, his 18th, and this summer, he’s also (no surprise) going back out on tour. Plus coverage by Entertainment Weekly, People, nighttime talk shows, daytime talk shows, etc. Soon so many more people will find out what his fans are so “crazed” about. Congratulations, RS! This week, Jimmy Kimmel unearthed never-before-seen footage that revealed the “true story” behind the song. Of course it’s not actually the “true story,” but it was hilarious and included RS with an 80s-style hairdo and that crazy jacket. During the interview, RS talked about the real true story about “Jessie’s Girl,” which is just such a cool example of how one small decision you make can turn your life around. In this case, RS thinks his musical career is over – in 1979 – so he decides to pursue a career as a stained-glass maker. In a stained glass-making class, he’s attracted to a girl in the class who has a boyfriend and that scenario inspired “Jessie’s Girl,” which helped catapult his musical career. One question for Jimmy: Why did he call Rick Springfield fans crazed? OK, the Marriott story qualifies, but Jimmy probably didn’t know about that before the interview. Are RS fans really any more crazed than fans of other musicians? Don’t other rock stars have fans who travel around the country to see their shows, attend fan events, hang out in alleys and hotel lobbies after shows, follow their musician’s every cyber move? Is that any crazier than sports fans who memorize players’ statistics, watch multiple instant replays and then have another sports show right afterward dissecting every play? Who is he calling crazed? OK, maybe call it slightly obsessed, but I prefer devoted. As if it’s not enough to be premiering a new film next week, touring and finishing a new CD (word is that it’s now expected to be released in January), RS’s best-selling novel “Magnificent Vibration” just came out in paperback today (which was announced via a posting of an animated version of one of the scenes from the book). Maybe this means book-signing tours are next? Or a full-feature animated film? Who knows what surprises may lie ahead? With all this going on, I wonder if this feels reminiscent of the blur the “Working Class Dog”/ “General Hospital” days must have been like back in early 1980s. I wonder if there will be any new posters of him in next month’s Tiger Beat or Bop. It’s time to shine your light. Ricki with Ricky a week from today! 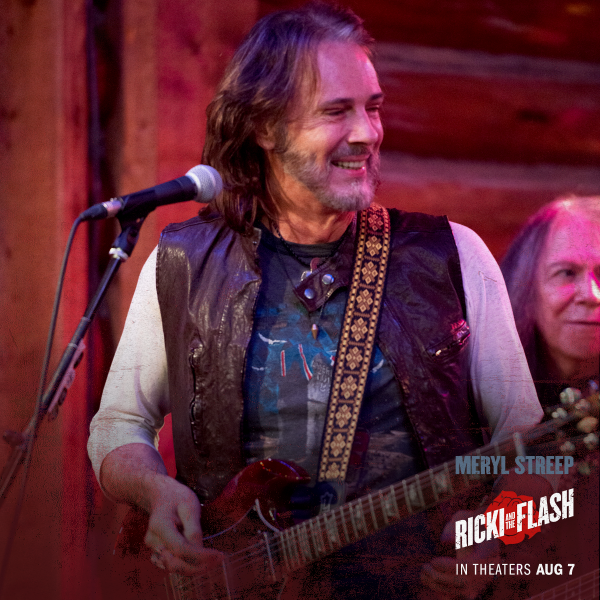 The world premiere of “Ricki and the Flash” is next Monday and I have a screening pass in my hand – whoo hoo! What a great way to start my birthday week! The New York Premiere Screening of “Ricki And The Flash” is on Aug. 3 and the press junket for the film is Aug. 1-2. Rick Springfield, Meryl Streep, Mamie Gummer and Jonathan Demme will all be there and reporters will get to interview all of them. Pretty exciting, right? The Aug. 3 screening pass in my hand is not, unfortunately, for the one in New York – it’s for an advance screening on the other side of the country in Phoenix – but I’m still excited nonetheless. (Oh, did it I make it sound like I was going to New York? Well, a girl can dream, right?) I think the last time I was this excited about a movie was back in 1984 when “Hard to Hold” came out. There is so much going on in the world of Rick Springfield fandom, I just have to write another post about it. 1. Acclaim for his role on “True Detective” (and once again, it was make-up, he doesn’t really look like that – in case you came across this post after Googling “What happened to Rick Springfield?!”). 3. His concert tour (and I have tickets for a show in about three months- yea!). 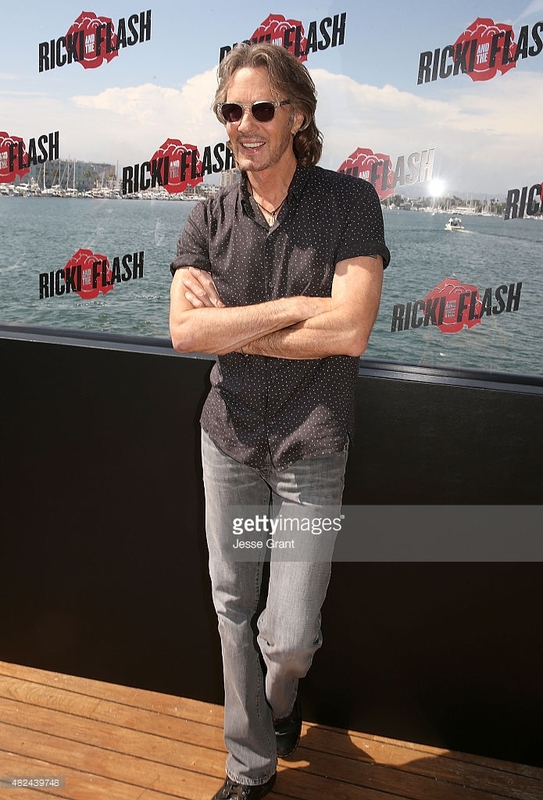 By the way, the dinner and sound check contests are part of the Rick Springfield Birthday Charity Campaign organized by RS fans that benefits two charities – one helping animals and one benefiting children. RS fans raised $3,000 in one week so far and there are still a few weeks left. Cool, eh? And amid all this excitement about these strides in RS’s acting career, don’t forget that he’s also working on finishing a new CD. Thanks, RS, for all the exciting things you are working on and we (the collective we of your fans) wish you only the best! For the past eight years, a group of Rick Springfield fans have collected money for charity in honor of his birthday. Apparently, fans like to give him gifts for his birthday and he requested that they donate the money to charity instead. So far, they’ve raised more than $50,000. The ninth annual campaign – called “Ricky and the (big birthday) Bash” in honor of his upcoming movie – raises money for two charities: The first one is Hoops for Life – for Dr. Michael Edwards’ Pediatric Brain Tumor Research Program at Lucile Packard Children’s Hospital (LPCH) – in memory of Sahara Aldridge, his sweet young friend who died from a brain tumor at age 13. The other charity is the Linda Blair Worldheart Foundation, which rescues animals. This year’s goal is to raise $15,000. (Click here to learn all about this campaign, which continues through Sept. 15). This effort by RS fans is pretty cool! I can’t help but wonder what it would be like to have dinner with RS. Looking back to my past encounters with him – which included me babbling with a goofy grin stuck on my face – I think it’s pretty adventurous of him to offer to do this! And since it is a pre-concert dinner, it means that it won’t be Dr. Pitlor (creepy “True Detective” character) showing up as a dinner companion. Although I guess Pitlor RS is better than no RS, right? Anyway, yesterday was the 30-YEAR anniversary of Live Aid, a concert held on July 13, 1985 that was organized by Bob Geldof and Midge Ure to raise funds to help those affected by the Ethiopian famine. The concert was held simultaneously at Wembley Stadium in London and JFK Stadium in Philadelphia and was watched by an estimated 1.5 billion people worldwide (200,000 in person between both places). It’s pretty incredible to see the list of artists who performed that day (click here for list). 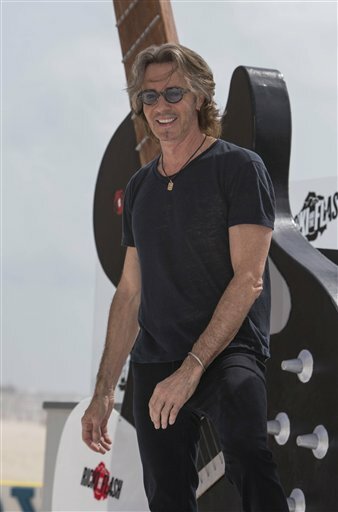 In 30 days, Rick Springfield will appear on the big screen in his first feature film since “Hard to Hold” in 1984. His film debut didn’t get very good reviews, but at age 14, I didn’t care about things like that – it was Rick Springfield on the big screen and (giggle, giggle) you got to see almost all of him. Plus you got to hear his newest songs. Anyway, this new film is about “a musician who gave up everything for her dream of rock-and-roll stardom returns home, looking to make things right with her family.” A comedy-drama about a family and lots of music starring Meryl Streep – one of my favorite actresses – that in itself sounds wonderful. Most of the movies I watch these days are from Netflix, watched as I fold laundry on the weekend and I don’t make it to the theater very often, usually only for kid movies. (Last month it was “Inside Out,” which I enjoyed, and “Minions” will likely be the next one). But I will definitely make it to the theater for “Ricki and the Flash.” It looks like I may be in Los Angeles that week so I’m going to try to visit his star on the Hollywood Walk of Fame during that week, too, which is pretty cool! Truth be told, although I’m looking forward to the movie, I’m mainly just happy for him that he has this opportunity and I am more excited about his new CD. It’s reportedly called “Mayhem” but I haven’t seen any official announcement about the title.